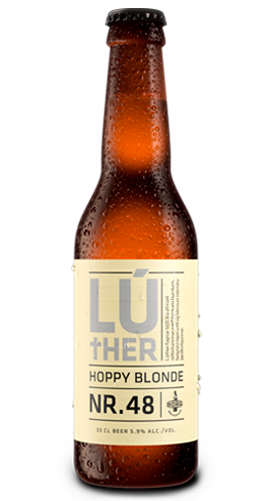 In Lúther, the Belgian yeast and the Perle and Hallertauer Mittelfrüh hops from Germany come together in perfect harmony to create a heavenly hoppy and fruity beer while maintaining a depth worthy of silent reflection. Now, go forth and spread the Gospel. Ingredients: Water, malted barley, malted wheat, hops and yeast.